FAST CHARGE - NiCd/NiMH battery pack charger that provides 1Amp or 2Amp options. 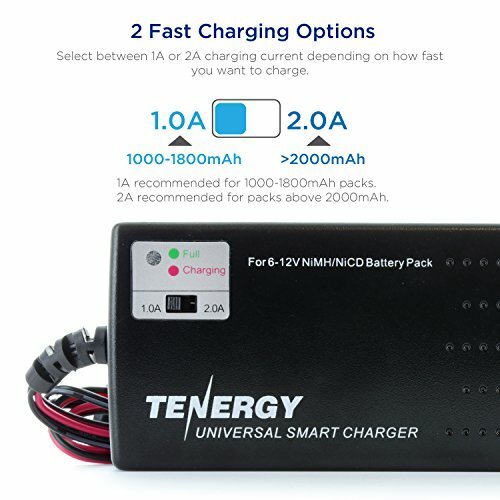 Quickly charge your battery packs; 1Amp is recommended for 1000-1800mAh packs, and 2Amp is recommended for any pack over 2000mAh. 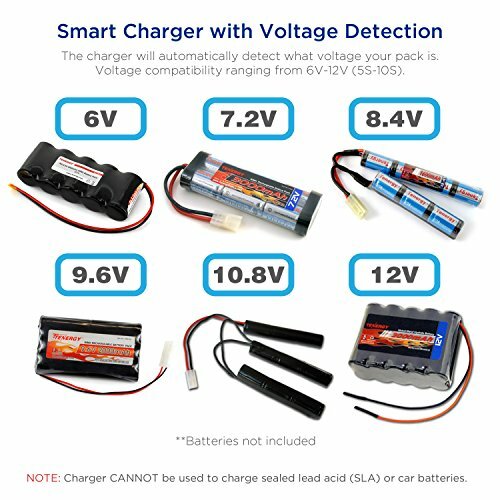 UNIVERSAL SMART CHARGER - Charges battery packs based on automatic voltage detection. 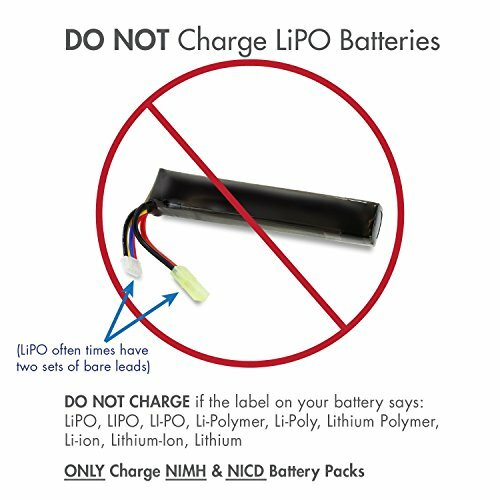 Charges your NiMH or NiCd battery packs that are 6V, 7.2V, 8.4V, 9.6V 10.8V, and 12V battery packs. 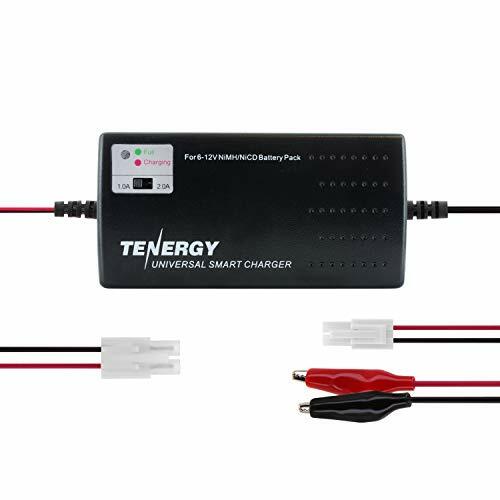 EASY TO USE - A great airsoft battery charger or RC car battery charger with simple LED indicators for charging status. 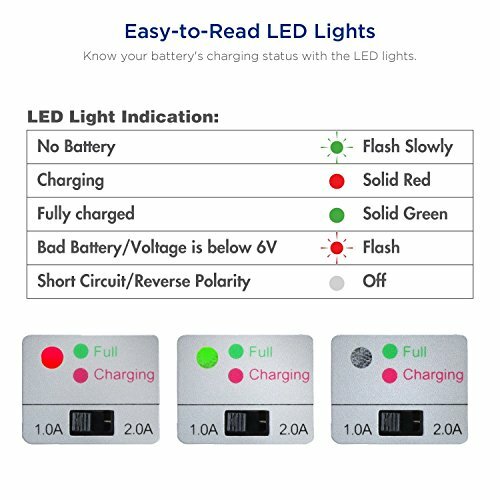 Green light for fully charged and red light for charging. HOBBY BATTERY CHARGER - Charge NiMh/NiCd battery packs for Airsoft, RC Cars, or remote controlled toys. 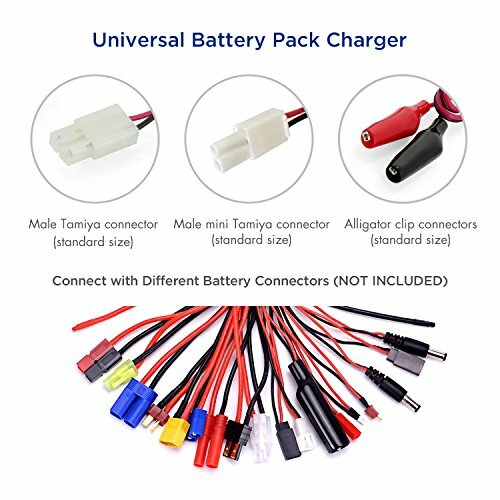 Includes standard size Tamiya connector, standard to mini Tamiya adapter, standard Tamiya to Alligator Clips adapter. 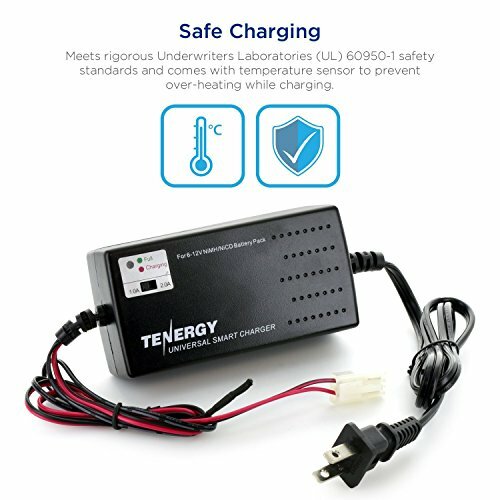 TENERGY SAFE - To give you peace of mind, Tenergy's chargers meet rigorous American UL 60950-1 safety standards. For added security, the charger also includes a temperature sensor to prevent over-heating while charging.